He says consumers want to know where their food is coming from, what goes into it, how it is made – a good sense of what Fast Good is all about. 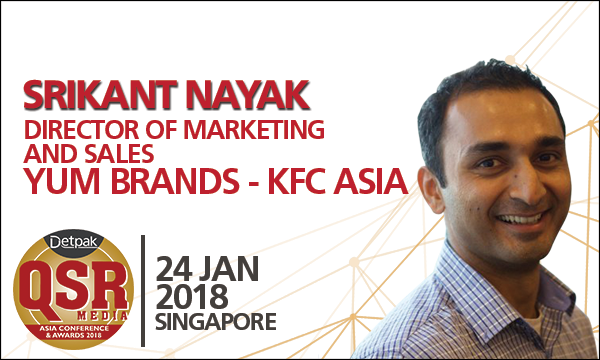 Srikant Nayak has served as the marketing director of KFC Asia for over 3 years. He has been instrumental in the turnaround of the businesses in Malaysia, Indonesia and Vietnam responsible for over 1,000 stores and US$1b in sales. Whilst he is a marketer by profession, he always has a business hat on which has helped him steer through tough macroeconomic challenges plaguing the QSR industry in the region. A 3rd generation restaurateur, he’s deeply passionate about the F&B industry as he knows there are very few things that bring a genuine smile to the consumers face like a good hearty meal – a responsibility he takes very seriously. Srikant got his MBA from Indian Institute of Management (IIM) before earning his chops in the Procter & Gamble marketing university. In the decade he spent there, he learnt the importance of putting the consumer at the front and centre of all decisions. Mining consumer insights, translating them to relevant and distinctive marketing campaigns via strong agency partnerships, and executing holistically in sync with the consumer code is a fine balance he has been able to strike time and again on the many billion dollar brands he has worked on such as Tide, Pampers and now at KFC. QSR Media: What are trends you observed in the QSR and fast casual industry today? There is a huge change in what the consumers expect from QSRs, specifically from 2 points of view viz. Convenience/easy will shift from Fast Food to Fast Good. To make QSR offering easy for consumers, companies have to make the mindset shift from Food Company offering online ordering to a Digital Company offering food. E-commerce and delivery have become a huge part of the business strategy that without which, it will be impossible to survive. Asia is leading this global change ahead of its western counterparts. All QSRs have to start making a move to Fast Good – consumers want to know where their food is coming from, what goes into it, how it is made. They also want to make sure brands they associate with play a responsible role in the society and are giving back in a meaningful way. So Fast Good can’t be relegated to the PR team like in the old days – it has to be an intrinsic part of the business and marketing strategy. QSR Media: Can you give us a glimpse of what will you be sharing with regards to the panel session: Marketing and Digital Panel? I’ll discuss how to drive disruptive innovation yet staying true to your core offering, the importance of testing and how a culture of innovation and risk taking can be nurtured via strong testing mechanisms, and also, the move to Fast Good – as mentioned above. QSR Media: Any other observations? From a business ownership standpoint, there is a move towards franchising. Companies are moving from active ownership of stores to finding franchisees to run it. The stock markets reward such moves via a higher multiple but the stores are also better run in a more agile manner by local franchisee owners who understand the business and consumer context better. QSR Media: What's the most important thing to consider in creating a marketing campaign? A strong insight! This insight can be anchored to the brand, consumer, category or competitor but without one it is impossible to create a campaign which is relevant and distinctive at the same time. In a multi-channel world, a strong insight drives consistency of messaging and a holistic viewpoint of the proposition. 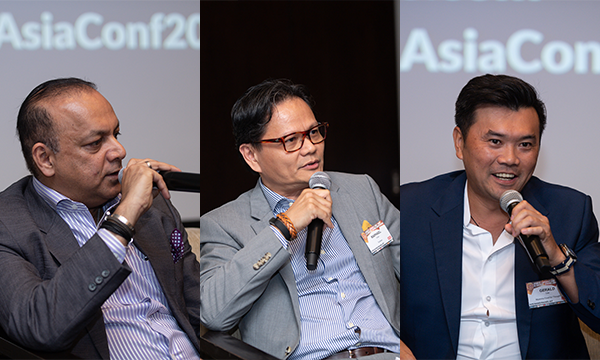 If you are interested to attend the conference, you may contact Andrea at andrea@charltonmediamail.com or at +65 3158 1386 ext 238.